Epilepsy is a chronic neurological disorder which affects not only the health of the affected child, but also has an economic, psychological and emotional impact on the family as a whole. In the transition from Person with Disability (PWD) act (1995) to Rights of Persons with Disabilities act (RPWD act) (2016), which covers all aspects of life of a person with any disability, epilepsy has been excluded from the list of disorders, resulting in a loss of many of the benefits that were earlier available to persons with epilepsy, causing concern to all caregivers of persons with epilepsy. Additionally, physicians/ pediatricians/ neurologists are not really aware of the benefits that are available to persons with epilepsy, especially children. 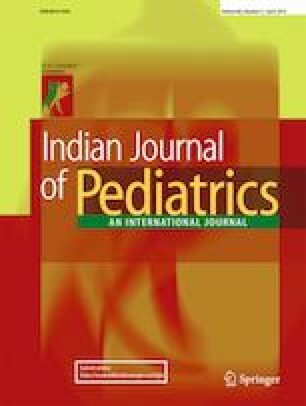 To address these issues, an expert group meeting of pediatric neurologists and epileptologists in India along with social workers/epilepsy educators legal experts, parents, and teachers was held. The implication of epilepsy being dropped as a disability, was discussed, and most of the experts concurred that epilepsy should be considered as a disability, depending of the type of seizures or the epilepsy syndrome. Also, the current status of income tax benefits, child care benefits, travel concession, schooling and health insurance for children with epilepsy in India were also discussed. The importance of creating awareness on these issues was stressed on. Here authors present the group consensus statement on these legal and social aspects about the care of children with epilepsy. The authors wish to thank help of Ms. Nisha Phakey in coordinating the smooth conduct of the SOLACE meeting. JSK, RAK, JKS, SS, RM constituted the writing group for the manuscript. They were involved in drafting the manuscript and review of literature. All AOCN-IES SOLACE expert group members performed critical review of the manuscript for intellectual content and final approval of the version to be published. RM will act as guarantor for the paper. The SOLACE meeting was funded by AQUILA division of INTAS Pharmaceutical Ltd. and Dr. Reddy’s Laboratories. The venue support was provided by Max Healthcare Superspeciality Hospital, Saket, New Delhi. However these funding sources had no role in the deliberations or formulation of the consensus document. The Rights of Persons with Disability Act, 2016. Ministry of Law and Justice. Government of India. Available at: http://www.disabilityaffairs.gov.in/upload/uploadfiles/files/RPWD%20ACT%202016.pdf. Accessed 1 Dec 2018. The PWD Act. The person with disabilities (equal opportunity, protection of rights and full participation) act, 1995. Available at: http://www.ccdisabilities.nic.in/page.php?s=reg&t=def&p=pwd_act. Accessed 3 Jan 2019. Guidelines for Evaluation of Various Disabilities and Procedure for Certification. Ministry of Social Justice and Empowerment. Notification dated 1st June 2001. Available at: http://disabilityaffairs.gov.in/upload/uploadfiles/files/guidelines%202001_compressed.pdf. Accessed 1 Dec 2018. Department of Empowerment of Persons with Disabilities (Divyangjan). Ministry of Social Justice and Empowerment. Notification Dated 04 Jan 2018. Available at: http://www.ccdisabilities.nic.in/content/en/docs/Newguideline.pdf. Accessed 1 Dec 2018. p. 97. Gazette Notification, Ministry of Social Justice and Empowerment. Dated 22nd October 2018. Right of Person with Disability Amendment Rules (2018). Available at: http://disabilityaffairs.gov.in/upload/uploadfiles/files/Draft%20Rules-high%20support%20needs.pdf. Accessed 3 Jan 2019. Tax Benefits due to Life Insurance Policy, Health Insurance Policy, and Expenditure on Medical Treatment. Available at: https://www.incometaxindia.gov.in/Tutorials/20.%20Tax%20benefits%20due%20to%20health%20insurance.pdf. Accessed 1 Dec 2018. Grant of Child Care Leave to Women of Government Employee. Employee State Insurance Corporation. Available at: https://www.esic.nic.in/CIRCULARS/CCLCIR.pdf. Accessed 1 Dec 2018. Child Care Allowance Rules, Calculator. Available at: https://www.7thpaycommissioninfo.in/child-care-allowance-rules-calculator-taxable-or-not/. Accessed 1 Dec 2018. Recommendations for Seventh Pay Commission-Implementation of Decisions Relating to the Grant of Child Education Allowance and Hostel Subsidy. Available at: http://documents.doptcirculars.nic.in/D2/D02est/CEA%20OMwVQXm.pdf. Accessed 1 Dec 2018. Maternity Benefit Amendment Act, 2017. Available at: https://labour.gov.in/sites/default/files/Maternity%20Benefit%20Amendment%20Act%2C2017%20.pdf. Accessed 1 Dec 2018. Facility to Handicapped Persons for Train Reservation. Available at: http://www.indianrailways.gov.in/railwayboard/uploads/directorate/establishment/ENG-II/pt1_5.pdf. Accessed 1 Dec 2018. Concessions Given by Central and State Governments for Disabled. Available at: http://www.rehabcouncil.nic.in/writereaddata/Appendices_5.pdf. Accessed 1 Dec 2018. Posting of Government Employees who have Differently Abled Dependents. Ministry of Personnel, Public Grievances, and Pensions. Available at: http://www.ccdisabilities.nic.in/content/en/docs/DOP&T03.pdf. Accessed 1 Dec 2018. Customs Concessions for Persons with Disabilities. Available at: https://enabled.in/wp/customs-concessions-for-persons-with-disabilities. Accessed 1 Dec 2018. SSA Shagun. Available at: http://www.ssa.nic.in. Accessed 1 Dec 2018. No School Can Deny Admission to Child on Disability Grounds. The Indian Express. Available at: http://indianexpress.com/article/cities/mumbai/no-school-can-deny-admission-to-child-on-disability-grounds. Accessed 1 Dec 2018. Complaints - Learn How to Register a Complaint: Office of the Chief Commissioner for Persons with Disabilities, Government of India. Available at: http://www.ccdisabilities.nic.in/page.php?s=&p=reg_comp&t=pb. Accessed 1 Dec 2018. Nirmaya. Ministry of Social Justice and Empowerment (MSJE). Available at: http://thenationaltrust.gov.in/content/scheme/niramaya.php. Accessed 1 Dec 2018. Swavlamban Health Insurance Scheme for Persons with Disabilities. Available at: https://enabled.in/wp/swavlamban-health-insurance-scheme-persons-disabilities. Accessed 1 Dec 2018. Insurance Regulatory Developmental Authority of India. Available at: https://www.irdai.gov.in/ADMINCMS/cms/Search_Results. Accessed 28 Dec 2018. Concession Given by Central and State Government for the Disabled. Available at: https://www.rehabcouncil.nic.in/writereaddata/Appendices_5.pdf. Accessed 1 Dec 2018.